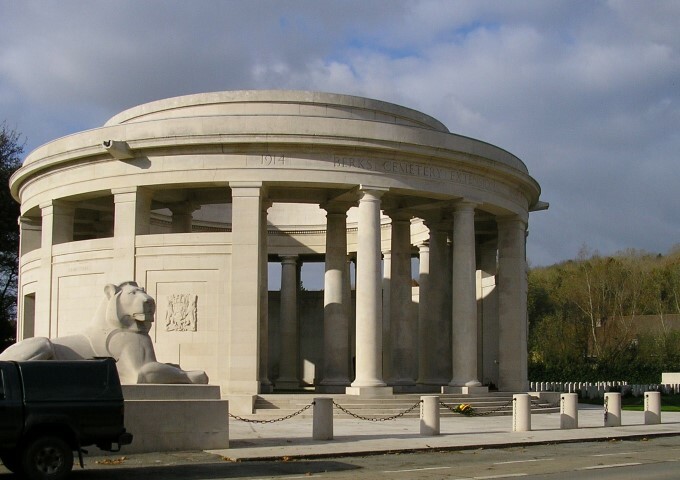 250296 Private George Stevens, 1/6th Battalion, the Durham Light Infantry was killed in action 9 April 1918 and is commemorated on the Ploegsteert Memorial, Belgium. He was 21 years old and is commemorated on the Cockfield War Memorial. In 1901, the family lived at 2 Poonah Road, St. Helier, Jersey and George (snr.) is recorded as being a soldier. George (jnr.) and his sisters attended Cockfield Church of England School but between 23 September 1907 and 29 November 1907 they went to the Council School before returning to the National School. At that time, the family lived at Draft Yard, Cockfield. By 1911, the family lived at Esperley Lane, near Cockfield and George (snr.) worked as a coal miner, an underground manager (road waggonner). 14 year old George worked as a coal miner, as an underground labourer. George Stevens enlisted at Barnard Castle into the Durham Light Infantry, probably the 1/6 the Battalion which was his local Territorial Force. He was allocated the regimental number 2943 and later given number 250296. The service details of 250296 Private George Stevens, 1/6 battalion, the Durham Light Infantry have not been traced and the War Diary for the date of his death, 6 April 1918 has not been researched. Private G.W. Stevens entered France 19.04.1915  together with the rest of the 6/DLI. He was killed in action 9 April 1918 during the Battle of the Lys – the Battle of Estaires which was the first phase, 9 – 11 April 1918. Private George Stevens was a territorial soldier who was called to arms at the outbreak of war. He was only 17 years old at the time and witnessed the Second Battle of Ypres 1915, the Somme 1916, Arras & the Third Ypres (Passchendaele) 1917 and the German Spring Offensive of 1918 in Picardy and the Lys before being killed in action aged 21 years. He has no known grave. 3 March: Soviet Russia made peace with Germany and her allies by virtue of the Treaty of Brest-Litovsk. As a result, Germany could now transfer troops from the Eastern Front to the Western Front. More importantly, these Divisions included the original elite of the German Army – the Guards, Jagers, Prussians, Swabians and the best of the Bavarians. In all, 192 Divisions could be deployed in the West. The Allies could field 178 Divisions. A single division numbered about 19,000 men  so Ludendorff could call upon about 3,650,000 men as opposed to the Allies 3,380,000. Thus, the Germans now held superiority in numbers. The German High Command needed victory to be gained before the American Forces arrived in Europe in huge numbers. America had entered the war on the 6th April 1917 and in the July, the U.S. Commander –in – Chief Pershing asked for an army of 3 million men. The first of her troops arrived in France on 26th June 1917. The training and build-up of troops obviously took time but eventually by June 1918, the Americans were receiving about 250,000 men a month in France. This amounted to 25 divisions in or behind the battle zone and another 55 in the United States ready to join the action. Elsewhere in the Alliance, the French were able to draw on a new annual class of conscripts after a year of inactivity but the British were worn down by continuous fighting during the summer of 1917 with major offensives at Arras, Messines, Passchendaele and Cambrai. The strength of the British infantry had fallen from 754,000 in July 1917 to 543,000 in June 1918 producing a manpower crisis. Between 21 March and 10 April the 3 main assaulting armies had lost 303,350 men – 1/5th of their original strength. Added to this the poor diet of the German troops, battle fatigue, discontentment with the military leadership, social unrest at home and a general realisation that their great effort was beginning to wane, the Allies counter attack in mid July began to seize the initiative. Sweeping victories over demoralised German forces eventually led to the resignation of Ludendorff on the 27th October, the abdication of Kaiser Wilhelm II on the 9th November and the signing of the Armistice on the 11th November 1918. The 5th Division saw action at the Battle of Hazelbrouck, (the third phase) on the 12 – 15 April playing a part in the defence of Nieppe Forest. The offensive was abandoned 29 April when attempts to seize the Flanders heights ended in failure. The second German offensive had resulted in an advance of up to 10 miles but none of their strategic objectives had been achieved and the channel ports remained safe in Allied hands. The Germans had lost 350,000 men the Allies about 305,000, the great majority of them British since the beginning of the Spring Offensive. 8 April: The front line from Givenchy northwards to Ypres-Comines Canal was held by the 55th, Portuguese, 40th, 34th, 25th, 19th & 9th Divisions, with the exception of the 55th and the Portuguese Divisions all those holding the front line had already been engaged on the Somme. Of the 4 Divisions in reserve i.e. 51st, 50th, 49th & 29th, the two former has also been through the operations in March. The defences of the 2 rivers and the outpost line which ran from Lestrem to Laventie…..a defence scheme was then evolved….6/DLI in the system of redoubts named Clifton Posts, Riez Bailleul, Carter’s Post, Le Drumez Post and Cockshy House. These posts were garrisoned by a platoon with a platoon in reserve and a company to hold the whole battalion. The 8/DLI were to hold the defences and bridgeheads of the River Lawe from Fosse Post to its junction with the River Lys at La Gorfue (inclusive) to Nouveau Monde (exclusive) that at the latter place being known as Pont Levis. 9 April 6.20am: all 3 battalions instructed to move to defence positions at Estaires and the bridgeheads were under a very heavy bombardment. One shell fell into the billet occupied by officers of 6/DLI killing, wounding and burying all these officers – the battalion proceeded into action with only 3 officers, CO and Adjutant. All platoons and one company were commanded by N.C.O.s. Brigade HQ at Estaires. Forward Report Centre near Pont Riquel – cable had been deliberately cut therefore no telephonic communication between the two. 11.00am: enemy broken through along the whole front held by the Portuguese – left their guns in the hands of the enemy. 12.00 noon: enemy advancing in force on Laventie. 8/DLI held the bridges over the Lae near Lestrem with detached posts in front. 5/DLI held bridges at La Gorgue, Pont Levis and Pont de la Meuse at Estaries. Noon: 6/DLI must have had contact with the enemy shortly after noon – patrols returned to BHQ with information that Laventie was being evacuated and that there were no British or Portuguese troops on the left flank of our outpost line. The enemy had reached the western outskirts of Levantie and Cockshy House, held by 6/DLI as smashed in by shell fire and the garrison post destroyed. 1.30pm: 151st Trench Mortar Battery sent forward to reinforce Le Drumez Post (held by 6/DLI) but was unable to reach the post and by 1.45pm: Le Drumez Post & Carter’s Post (both 6/DLI) fell to the enemy. Thus 151st TMB took up an isolated post astride the La Bassee road. 6/DLI then ordered to move their reserve company to the left flank and established a refused flank, joining up their outpost garrison at Riez Bailleul with the garrison of the Lys Pont Levis bridgeheads. 5/DLI moved forward to assist at this junction. The enemy advanced rapidly in 2 columns – one heading for the bridgeheads and the second swinging out from Le Drumez with the intention of rolling up the outpost line of redoubts and securing crossings of the R. Lawe at Lestrum. About 3.00pm: The enemy reached the R. Lys at Nouveau Monde -5/DLI to hold Pont Levis “at all costs” and launch a counter attack in the direction of Laventie with one of their reserve companies to strengthen the refused flank SE of Pont Levis. At 3.00pm: 8/DLI reported that the last 2 posts held by 6/DLI (Riez Bailleul and Clifton Post) had fallen. 4.00pm: remnants of 6/DLI, 4 officers & 60 men, were ordered to fall back to a position and fill a gap between the 8/DLI & 5/DLI. 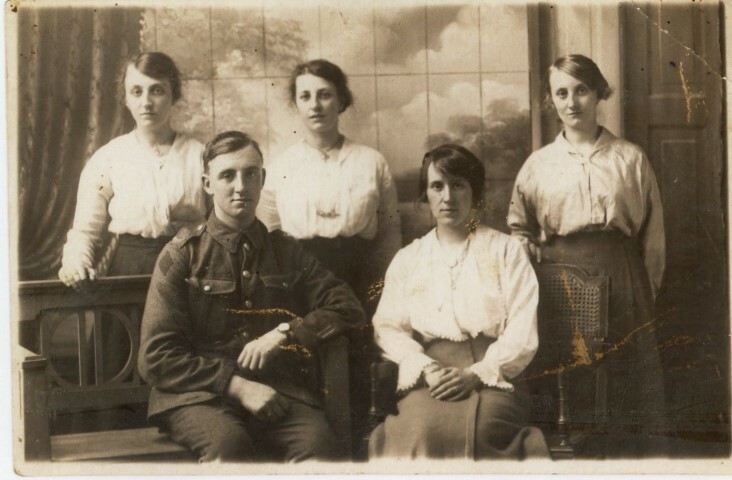 One company of 7/DLI (Pioneers) was also sent to assist 6/DLI. At 6.00pm the situation at Pont Levis was serious and by 7.00pm it was deemed necessary to hold the northern bank of the Lys and blow up the bridgeheads. Then orders were given to withdraw. “On the night of the 8th April, there was another “stand to” and at 4.00am the threatened attack commenced with a heavy bombardment of the town. One of the first shells burst in the Convent and all the occupants with 2 exceptions became casualties…….highest praise is due to the N.C.O.s who gave valuable assistance to the 3 surviving Company Officers in getting the Battalion into its battle positions in the Cockshy, Marais East and West and Drumiez posts…..The morning was misty and beyond the fact that the Portuguese were being driven back in confusion, nothing definite could be ascertained as to the situation. The first reports which reached the Commanding Officer (Major T.B. Heslop) were to the effect that 3 companies (W, X and Z) had been completely overwhelmed and that 2 of his 3 Company Officers, Capt. Cardew (killed) and 2nd Lieut. Railton (prisoner) were casualties. The remainder of the Battalion however under Lieut. A.N. Brown held its ground till the afternoon when it was forced to withdraw to the railway near La Gorgue. At dusk, orders were received to cross the river Lawe and to hold the western bank. This withdrawal was successful and the opportunity was taken to reorganise the Battalion which was divided into 2 companies, one under Lieut. Brown with Sergt. P. Finn MM and Sergt. Field; and the other under C.S.M. T. Sordy MC with Sergts. Bell and Cooper. The strength of the Battalion was now barely 100 and when touch had been established on the flanks it was found that it was holding a frontage of about 2000 yards. 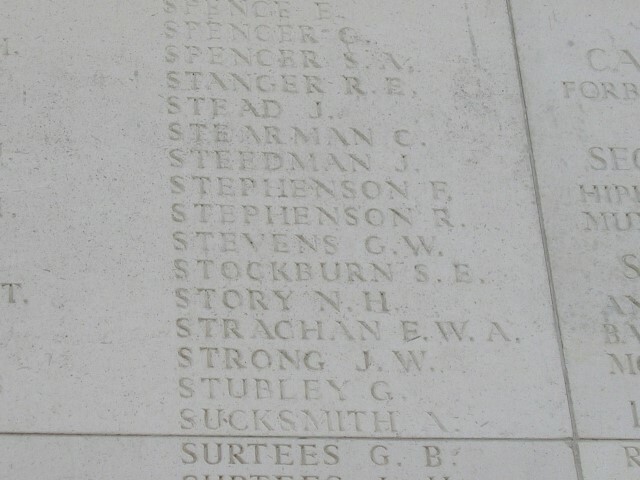 It is likely that 250296 Private George Stevens was killed in action when his company was overwhelmed during the action at Cockshy, Marais East and West or Drumiez posts. He could have been involved later in the day at Riez Bailleul or Clifton Post but since the War Diary is “silent” on detailed proceedings and his body has not been identified then, the circumstances of his death “are known unto God”. Later research records that between 9 and 11 April 1918, 6/DLI lost 4 Officers and 30 Other Ranks, killed in action or died of wounds. Private G. Stevens was awarded the 1914-15 Star, the British War and Victory medals.